LG GU292 Non Camera 3G Phone With GPRS EDGE Internet Review. ~ All 4G Non Camera Smartphone Mobile Phones Without Camera Phone. LG GU292 Non Camera 3G Phone With GPRS EDGE Internet Review. LG GU292 is a GPRS EDGE quad-band Non Camera 3G GSM slider phone with color display, music player, GPS, Push-to-Talk, micro SDHC slot and organizer. LG GU292 is a push-to-talk music phone with a compact slide design. Users can instantly talk with up to seven people using PTT technology even over Bluetooth for hands-free calls. The handset displays text messages in a convenient conversation format for each contact. The GU292 also features AT&T services like AT&T Navigator for turn-by-turn directions and traffic updates and AT&T Music for favorite tunes. Push-to-Talk technology to chat with up to seven friends through minutes - free conversations, or group multiple contacts for quick conversations with friends. Built-in music player with AT&T Music for access to songs by artist, album, genre, or playlist. View text messages organized in a conversation view grouped by contact. AT&T Navigator and GPS present for turn-by-turn directions.Talk hands-free with a wireless Bluetooth headset. You can hook up to a PC desktop or laptop to access music and games, print pictures, transfer contacts, and more.One button turns any phone into a great little walkie-talkie. Explore LG GU292 Non Camera 3G Slider Phone With GPRS EDGE Internet Features, Specifications, Images, Photos, Comments, Review & Price in India. The LG GU292 allows you to instantly speak with up to 7 people with Push to Talk and you can even use Bluetooth® wireless technology to talk hands-free. Use AT&T Navigator to keep track of your location and get the latest traffic updates. The LG GU292 has everything to keep you at the top of your game. PTT lets you talk without busy signals -and without getting kicked straight to voicemail. Get turn by turn directions and traffic monitoring so you never find yourself stuck in traffic. Other features include Calendar, Alarm, To-Do, Calculator, Tip calculator, Unit converter, World clock, Stopwatch, Notepad, 1000 entries, Caller groups, Multiple numbers per contact, Picture ID, Ring ID, SMS, MMS, Threaded view, Predictive text input, Music ringtones (MP3), Polyphonic ringtones, Vibration, Flight mode, Silent mode, Speakerphone, Voice dialing, Voice commands (Speaker independent), Voice recording, TTY/TDD, Push-to-Talk, Mass storage device, USB charging. Also check Motorola WX265 Non Camera Flip Phone With GPRS Internet Features, Specifications, Images, Photos, Comments, Review & Price in India. 100 Mb internal, microSD upto 16 GB. The price of Non Camera GPRS EDGE LG GU292 Internet 3G Smartphone Without Camera in India is Rs 2350 /- only. 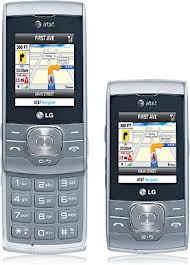 Best LG phone with no camera and GPRS internet feature. I bought it for Rs 2475 /- in Ahmedabad. Awesome phone and good music sound quality. Thanks.